I have about 3 months before I head to Denver for a climbing trip. I will most likely be visiting Eldo, Lumpy and Shelf. I was wondering if anyone could help me with a training schedule? In the past I have simply just climbed to get in shape without paying too much attention to a specific training regimen. I have been reading article after article trying to come up with a plan, but it all just sounds like another language to me. 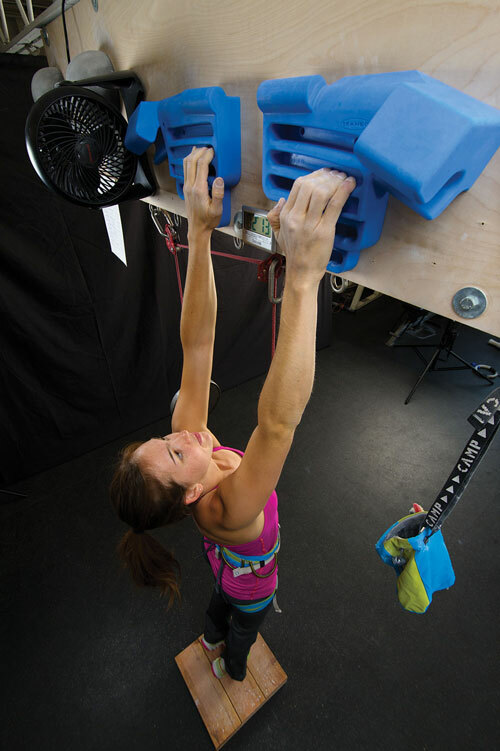 I have access to a gym, home bouldering wall, rock rings, and maxipull. If you have any specific ideas on a three month training program I would love to hear them. I read the training plan, but wasn't sure if this could be turned into a three month workout or if it was strictly a one month. If you can stretch this workout over 3 months how would you do it? For instance would you do Week 1 for three weeks, then do week 2 for 3 weeks etc...? this but with active shoulders and head forward. also you might want your feet off the deck.